Although I have tried many times to identify this moth, I have not managed to achieve a satisfactory result, but I think it belongs in NOCTUIDAE. 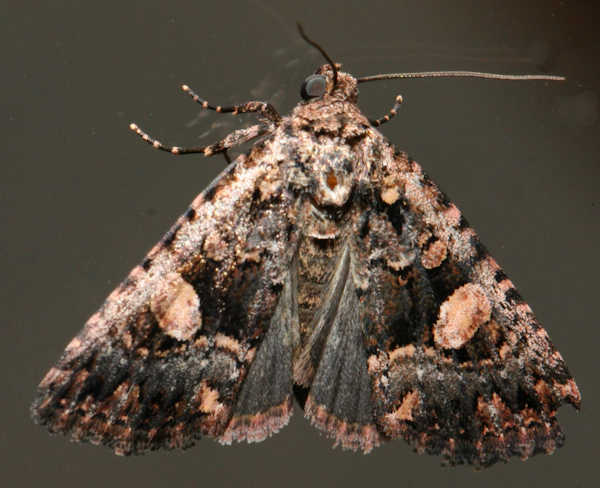 Probably the closest resemblance that I have found is Condica macrosema. There is still the problem that none of the samples show the distinct pinkish band on the rear wings. 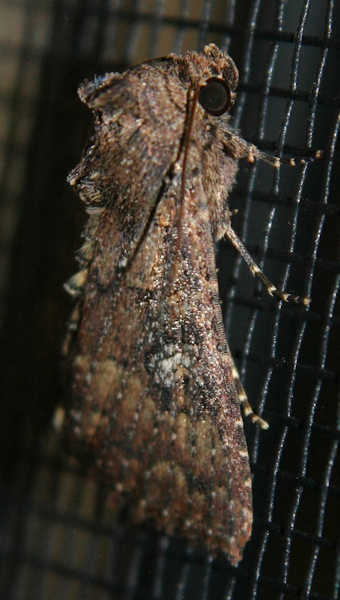 Another similar moth is Pseudeustrotia macrosema. There is still the lack of the rear wing band. I don't think there is going to be a definite answer to this one. And this moth is another moth I have not found a good match for.